As our premier room, the Nautilus Room is a beautifully elegant banquet room designed to host the most special of occasions. Whether your event is professional, recreational, or celebratory, the Nautilus Room is the room in San Diego that will leave you and your guests raving its qualities for years to come. 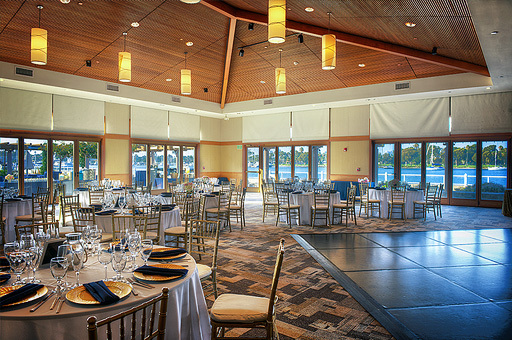 Set against Glorietta Bay, the Nautilus Room provides space for up to 250 guests, vaulted ceilings, beautiful lighting, and floor-to-ceiling views of the bay front. At an affordable price, tables, chairs, and a dance floor are included and all celebrations are invited to continue well into the evening, up to midnight.